You can do all of this by hiring outside help from a professional and experienced outsourced accounting company. 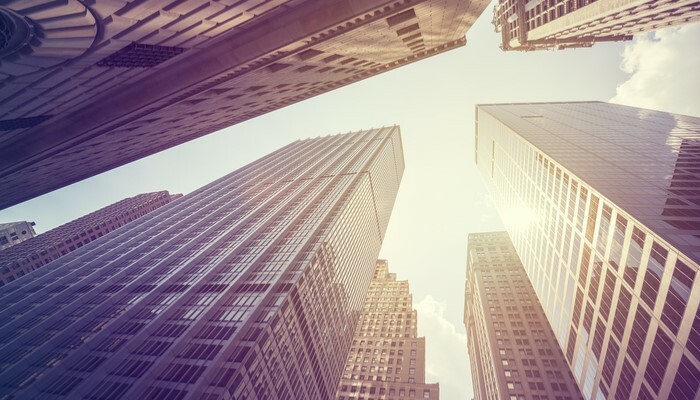 That’s the short view, but we are here for the longer one as every executive, CEO, or CFO deserves to see the big picture and sufficiently analyze everything that can benefit their company. That’s especially true for the company’s finances and accounting, which is why we will try to explain how outsourced accounting can make you proactive. It usually comes down to money, and that’s precisely the case with outsourced accounting. Most growing companies spend from 2% to 5% of revenues on training and adequately equipping an in-house accounting department. That’s a meager percentage in layman’s eyes, but you probably know that the reality is the exact opposite. When you hire outside help like Finance as a Service (FaaS), these costs are reduced, the need for equipment and supplies eliminated. If you outsource with FaaS, the software is also provided by the company you hired. For example, on average, a single in-house accountant’s salary is double that of what you need to pay for one outsourced accountant. The difference is even more significant when you hire an entire team of outsourced accountants who, as a whole, charge less per accountant than a single outsourced accountant does. The bottom line of the costs is even better as outsourced accountants require no payroll taxes and employee benefits. All in all, the total difference in costs is usually double or less when all things considered. That frees up your resources which can be used in some more crucial areas, making you prepared to handle other problems. Naturally, when you hire outside help, you get a lot of free time that your team can use on something else that’s more important for the company’s future. If you are a CEO, you won't have to worry about things that are not part of your expertise, and you can pay more attention to the development of your business. What’s more, you’ll have a lot more free time which you can use on handling any future problems. If you are a CFO, you won’t have to worry about day-to-day operations, and you’ll have the time to concentrate on the bigger picture of overseeing the company’s finances and strategy. What’s more, the hired company will provide software where a dashboard will give you the ability to gain insight from already processed financial data. In turn, it gives you a unique opportunity to scale your business and react to any changes more quickly. The importance of this ability is unprecedented in the modern age, where everything changes very quickly, especially businesses, industries, and markets. For example, by outsourcing your accounting, you gain the chance to react better to considerable increases in activity that are a direct result of seasonal or other business cycles. The responsibility of handling such peripheral activities can fall to the outsourced accounting provider, while you or your team can shift their focus and energy to providing a more efficient service to your clients and thus further growing your company. And get real-time updates, not daily or weekly updates. 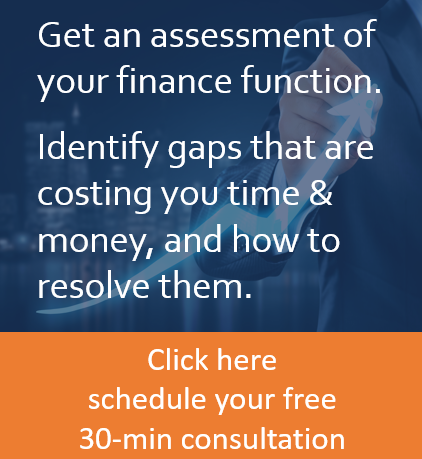 With such all-around and real-time access to financial data, you gain the ability to be genuinely proactive, as this gives you all the resources needed for getting on top of every unforeseen problem or change in the company or the market. What can you get from a cloud-based software? All of this enables the executives, CEOs, and CFOs to have a peace of mind and improved confidence, which in turn allows them to be proactive not only with the company’s finances but also with the business as a whole. They can then make improved and more accurate decisions and thus grow the company. Outsourced professionals guarantee accuracy which all but eliminates mistakes and potentially fraudulent activities. Over time, you and your team gain complete confidence in the company you hired, and you get to the point where you can count on them completely with all of your accounting needs. 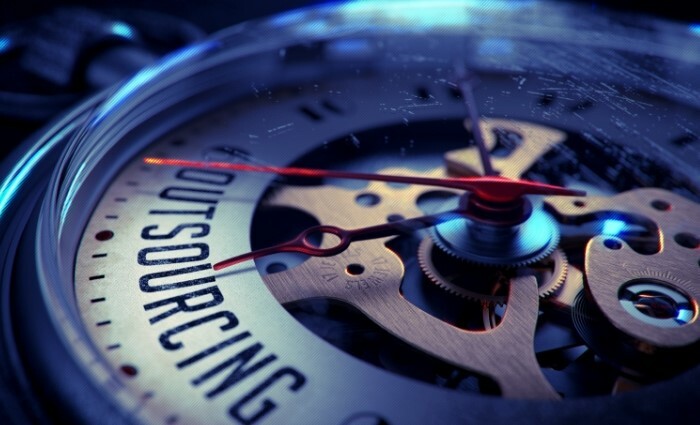 It doesn’t matter if your company has a few dozen or a few hundred employees, outsourcing enables you to truly stay in the game and gives you the ability to react to any positive or negative changes that face every business all the time. The sooner you see the benefits of outsourcing and acquire the right help, the quicker the growth your company will experience. What’s more, you won’t only stay competitive with other businesses in the industry, and you’ll surpass them in many ways.